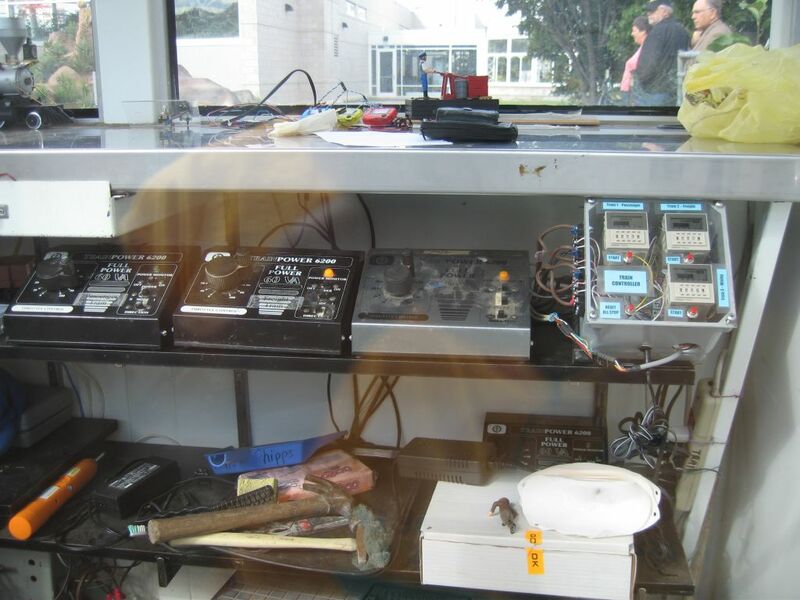 The three trains are controlled by individual timers, shown below. 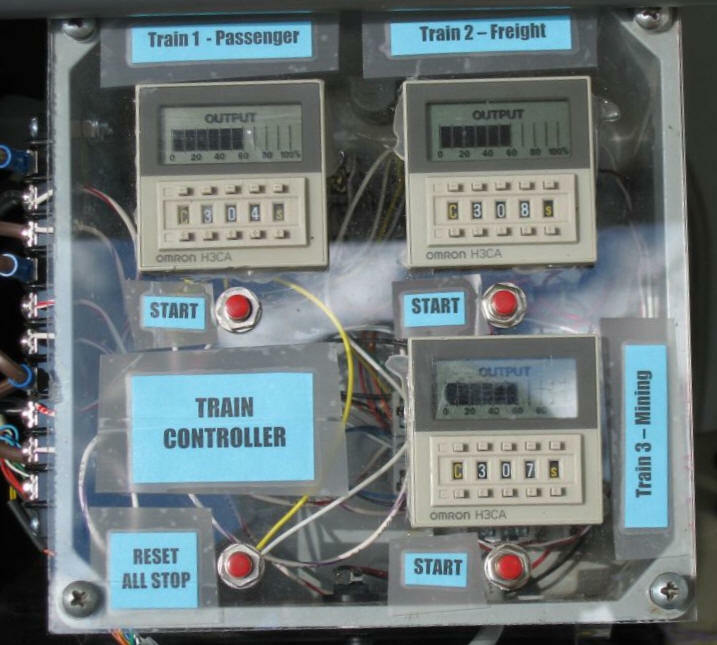 The three "Start" buttons start the individual trains and are wired in parallel with the "Start" buttons on the layout. The "RESET ALL STOP" button stops all timers and trains immediately. If you need to work on one train just press the RESET button and immediately restart the two other trains. Each timer is set for a time (in seconds) and starts when an operator or visitor presses the start button for that train. Note that the time will be reset to the maximum time if the button is pressed while the timer is running. After the time passes the power is removed from the track and the train stops. 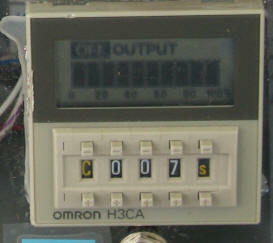 The wiring diagram for the timer is shown below.